Lydia and Alexander Huggins’ family home in Traverse des Sioux, Minnesota, was over 100 miles from the Lower Sioux Agency near present-day Morton, Minnesota. Still, when bands of Dakota attacked the Agency on Monday morning, August 18, 1862, word spread quickly across the countryside. Settlers began to flee their farms and many headed east toward St. Peter, the rapidly growing community next to Traverse des Sioux.Mary Ann Huggins Kerlinger recalled in her journal that the family abandoned their beloved Hickory Hill home when Traverse des Sioux was evacuated on August 19, 1862, fleeing into St. Peter where they joined other refugees at a warehouse downtown. Jane Huggins Holtzclaw, 27 years old, was very ill and could barely lift her head. Her husband James was away, having left to enlist in the Union Army. Her 19-year-old brother Eli had already begun serving in the Civil War. The rest of the family became separated in the chaos of the crowds streaming into St. Peter. The youngest of Lydia’s daughters, Harriet, known as Hattie, was 11 years old and she and six-year-old Kittie, the daughter of a Norwegian immigrant who had left her with Lydia in 1856, were unable to be found for several days. Mary learned later that kind strangers had taken in the girls. Mary also recorded in her journal that one of the difficulties was that there was no food at the warehouse for the hundreds of frightened families who were seeking protection. She wrote that she almost fainted from hunger and recalled that Alexander went back to the farm every day to gather whatever food he could find. After a few days of hunger and deprivation, Rev. 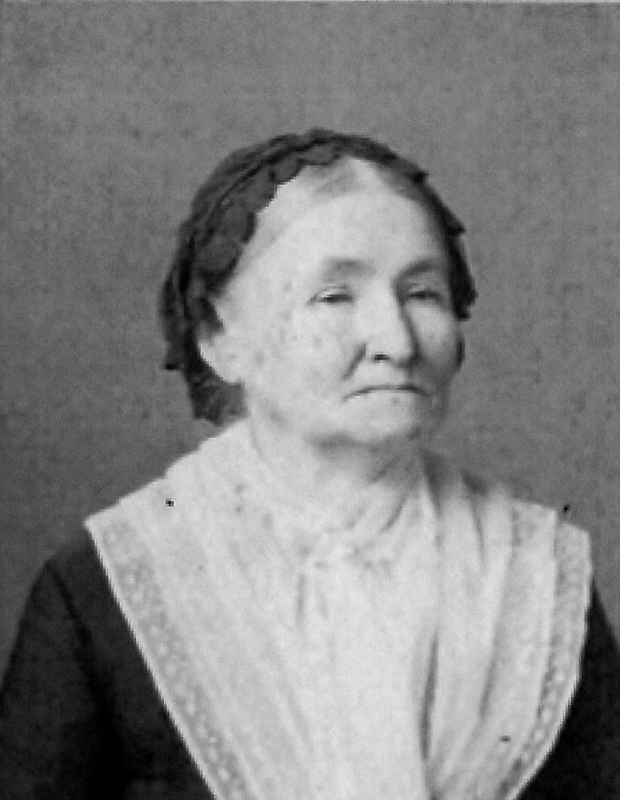 and Mrs. Kerr of the Union Presbyterian Church took Eliza and Mary to their home where they were fed and allowed to get some rest. Lydia and Alexander’s first born child and oldest son, Amos Williamson Huggins, was killed at Lac Qui Parle, Minnesota on August 19, 1862. He was 29 years old. Beyond concerns for their own safety, the family was worried about their many friends and relatives at the two reservations. Rumors flew that all the missionaries had been killed and Lydia’s oldest son Amos and his family were alone at their isolated school at Lac Qui Parle. On Saturday, August 23, the St. Paul Daily Press declared that it was believed that the Williamson and Riggs families were all victims of the fighting. One can imagine the family’s relief when Jonas Pettijohn, Alexander’s brother-in-law, who had fled the Upper Agency with the Riggs family, arrived in St. Peter ahead of the rest of that escape party and was able to report that both the Riggs and Williamson families were coming right behind him. Jonas, however, had no such good news about Amos and Sophie and their family. He told Lydia, Alexander and the children that he had no doubt Amos had been killed and the family taken captive. Mary recalled that her sister Eliza fainted upon hearing this horrific news. Jonas had no doubt learned of Amos’ fate from Dr. Thomas Williamson who, with his wife Margaret and sister Jane, had met up with and joined the Riggs’ escape group on Friday, August 22. The Williamsons had been told about Amos shortly after Amos was attacked at his home on Tuesday, August 19. The Indians also knew that Amos’ wife Sophia and their two children had been taken captive along with Julia LaFramboise, the young Dakota woman who had spent her childhood years growing up in Lydia’s home. Soon after learning Amos’ fate, Alexander received word that Rufus had been wounded in the fighting at New Ulm and had been taken to nearby Mankato. Alexander told Mary that it was only his leg and he could live if it had to be taken off. Alexander and Lydia left immediately to locate their son, determine how badly he was hurt, and hopefully bring him home safely to the family. Mary’s journal records that Rufus was found in a building that had been hastily put up as a hospital. There were dozens of wounded women and children, many of whom could not speak English. Rufus was taken to a vacant house and Lydia sat with him day and night. Six weeks later, he was finally carried home on a cot to his room at Hickory Hill at Traverse des Sioux. Gradually members of the family returned home and attempted to recover from the tragedy and loss that the war had brought them. Amos’ widow, Sophia Josephine Huggins and her children, Eletta Sophrina, aged four, and Charles Loyal, who was not yet two years old, joined the family for a brief time. Sophia’s father, John Marsh, had come to St. Peter as soon as he was informed of Amos’ death and he had been anxiously trying to learn of Sophia’s whereabouts for several weeks by the time they were reunited in October 1862. He took Sophia and the children to his home near Galesburg, Illinois. 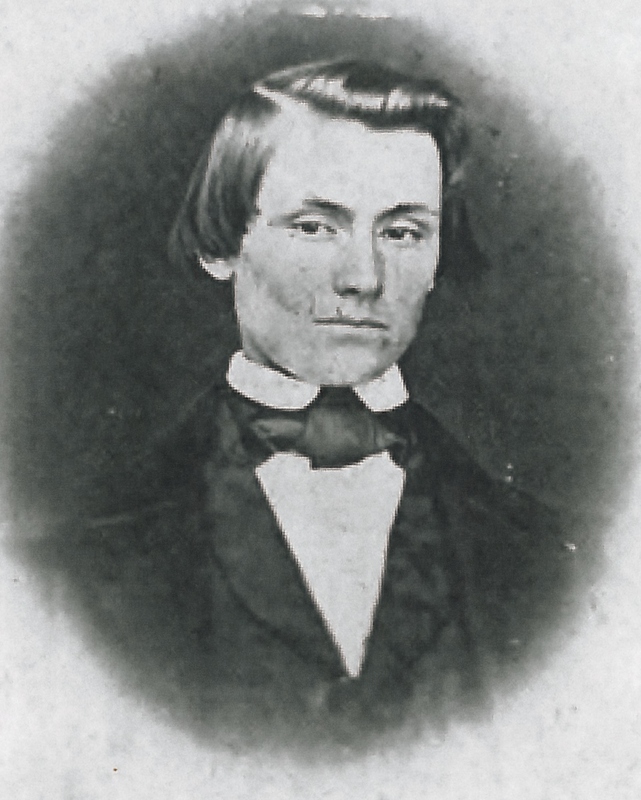 James Holtzclaw was killed in the Battle of Guntown, Mississippi, on June 10,1864. Jane Huggins Holtzclaw’s husband James was parolled from the war in order to help the family. Mary wrote that he was very good at assiting with Rufus’ care. She also reported that the family’s old friend, Jane Williamson, was at the house most of the time, while Lydia kept a vigil by Rufus’ bedside. Despite this loving care, Rufus contracted measles and weakened by his injuries, died on December 16, 1862. Lydia had now lost two sons as a result of the war and her only other son, Eli, was away fighting in the Union Army. It was a sad Christmas for the family culminating in the execution of 38 Dakota men at Mankato on December 26. Tatekage, a young Dakota man, who was described as mentally deficient, was hanged for Amos’ murder, but it is unlikely that Lydia or the family took much solace in that horrific mass execution. 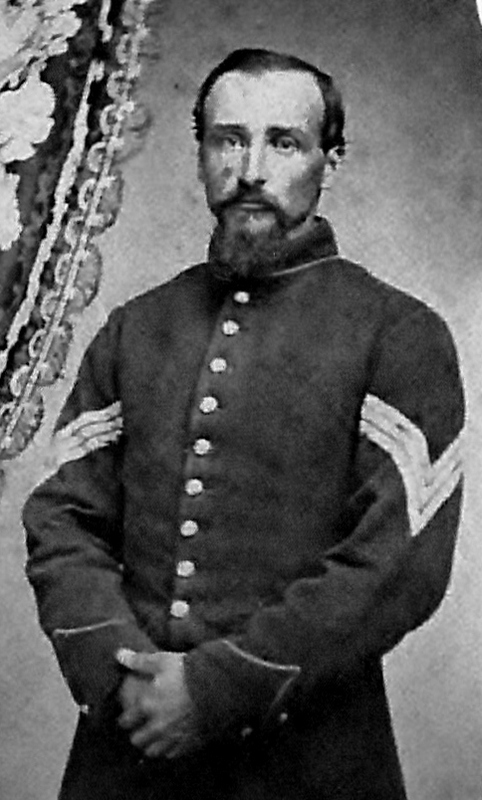 The following June, Jonas Pettijohn went to Lac Qui Parle and brought Amos Huggins’ remains back to Traverse des Sioux where he was reinterred in the old Traverse cemetery next to his bother Rufus. Jane Sloan Huggins Holtzclaw was 30 years old when her husband James was killed. She never remarried and lived to be 86 years old. Difficult days still lay ahead. Jane’s husband, James Holtzclaw, returned to his regiment and was killed in the Battle of Guntown, Mississippi, on June 10, 1864. He was 35 years old. His body was never recovered. He and Jane had no children except for Kate, the Scandinavian girl they had adopted. In order to help Jane with her farm, Jonas and Fannie Huggins Pettijohn relocated to Traverse des Sioux and moved in with Jane. Amos’ widow Sophia, had given birth to another son, Amos Williamson Huggins, named after his deceased father, on March 24, 1863, in Illinois. 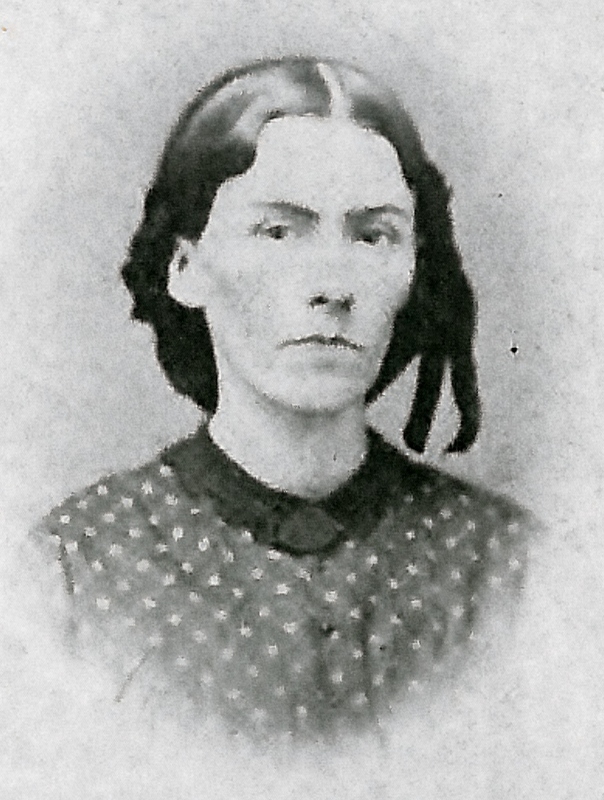 Sophia remarried in 1869 to Isaac Hawthorn in Illinois and as the years passed, she often sent the boys to Jane where they would spend time with Amos’ family. Lydia and Alexander continued to live and farm at Traverse. They had four unmarried daughters at home in those years. Eliza had worked at the Riggs mission at Hazlewood from 1861 until she had to return home in April 1862 due to poor health. She was saved from the trauma of the destruction of the mission later that year but she became a complete invalid by 1866. Mary Ann completed her education and also worked at the mission schools for periods of time. Frances and Harriet, the youngest of the girls, never married but remained at home with their parents. In September of 1866, Alexander died at the age of 64 years. He and Lydia had been married 34 years and had been in Minnesota for 31 of those years. Together they had experienced the establishment of the first mission at Lac Qui Parle where they witnessed the creation of the written Dakota language and welcomed the first Dakota Christians into the church. They had survived Alexander’s bout with mental illness and buried two of their sons, both killed as a result of the war of 1862. Now Lydia was a 54-year-old widow whose only grandchildren lived in Illinois with their widowed mother. It wasn’t long before Lydia decided to move to Illinois to be near Sophia and the children. Frances and Harriet went along and Frances graduated from the Rockford Female Seminary in Rockford, Illinois. Harriet graduated from Hedding Seminary in Abingdon, Illinois. Both girls became school teachers. Mary Ann’s journal doesn’t indicate when the move to Illinois took place, nor does she mention whether Eliza went along. It may be that Mary Ann and Eliza remained at Traverse for a time with Jane, who eventually moved to Minneapolis after Jonas and Fannie Pettijohn moved to Le Sueur, Minnesota in 1865. The family suffered yet another loss when Eliza passed away on June 22, 1873, at the age of 36 years. Mary Ann was 31 years old when she married John Murray Kerlinger on October 4, 1870. She didn’t begin writing her journal until 1914 when she was 75 years old and she added the final entries in 1921 when she was nearly 82. She and John had three children. William Murray Kerlinger was born on July 9, 1871. Callie May arrived on May 11, 1873 and Eli Herbert was born on March 4, 1880. The family lived in California, far from the prairies of Minnesota that Mary recalled so lovingly in her journal. Lydia Huggins Pettijohn was 78 years old when she passed away at her son Eli’s home in Berkeley, California in 1890. Lydia also spent the final years of her life in California. She, Frances and Harriet moved to the west coast where they were eventually joined by Eli, who had a long and distinguished military career, retiring as a Brigadier General. He had served in Sitka, Alaska, at St. Paul Island and was a Professor of Military Tactics at the University of Minnesota. He fought in the Indian Wars in Montana, receiving the Congressional Medal of Honor in 1880, and ultimately served in China in 1900 and in the Philippines in 1900-1901. Eli’s only son, Zenoah Alexander Huggins, was born in Kodiak, Alaska, on October 8, 1870. His mother was Alexandra Kashevarov. Zenoah studied art in Paris, France and was an artist in San Francisco, California until his death on May 30, 1955. Lydia was 78 years old when she passed away on November 28, 1890, in Berkeley, California. She had outlived Alexander by 24 years. Three of her children preceeded her in death. Daughter Frances died when she was 70 years old in 1918. Jane was 86 when she passed away in 1920. Mary Ann was 90 when she died in 1929. Eli died that same year at the age of 87, and Harriet, the youngest in the family was 89 when she died in 1930. It is thanks to her husband Alexander, her son Amos and her daughter Mary Ann that Lydia’s story could be told. Through their journals, treasured and preserved for decades, the story of the adventurous young Ohio woman who trekked across Minnesota with her young husband and their two babies in 1835 is captured for all time. This entry was posted in Dakota Mission, Fanny Huggins Pettijohn, Lydia Pettijohn Huggins, Minnesota, Minnesota History, St. Peter, Traverse des Sioux, U.S. Dakota War of 1862, Women in Minnesota. Bookmark the permalink. Thank you so much for this piece of history. Lydia was my grandfather’s sister…his name was Dyer Burgess Pettijohn, and I am composing his history as well.